Bogiatiland: Simone Barraco on Subrosa pro. well done bro..
Simone Barraco on Subrosa pro. well done bro..
Subrosa- Simone Barraco Welcome to the Pro Team from Subrosa Brand on Vimeo. Αναρτήθηκε από keep riding.! στις 2:09 π.μ. 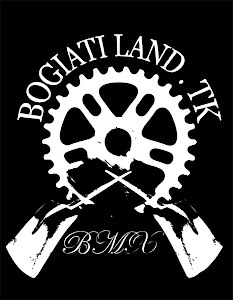 New members at Bogiatiland family ..
Andros Island.. The owner is Nick Garifalos..
'This is United' video.part of Leo Forte. Wizard of Aust new Episode!!. Photo of the month with Panagiotis Manaras. Random bmx riding in Athens.-2009 by gutlessbmx. Fit UK team trip in Greece ..
John Manaras the boss with his rail! Enjoy.